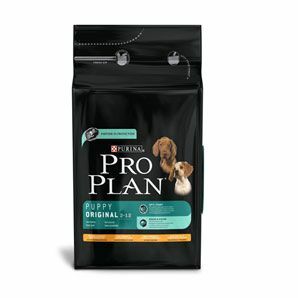 PRO PLAN Puppy Original is made with high quality chicken and rice. Developed with OptiStart, it provides everything your puppy needs to help support a strong immune system, healthy skin and coat and high energy levels, with a proven 50% increased immune response*. The optimal start for a lifetime of natural protection.